Dr. Darryl Allen teaches advanced managerial accounting in the Kenneth G. Dixon Graduate School of Business at the University of Central Florida. Prior to coming to UCF, Dr. Allen held a one-year visiting appointment at Georgetown University, teaching introductory and intermediate accounting in the undergraduate school of business, and financial statement analysis in the graduate school of business. Dr. Allen taught various accounting courses at The Joliet, Illinois Junior College from 1968-1976. Dr. Allen’s research interests are in earnings management and project valuation. Dr. Allen received his Ph.D. from The George Washington University in June, 2003. He received his MBA from Marymount University of Virginia in May, 1992 and his BBA in Accounting from the University of Cincinnati in June, 1967. Dr. Allen has been a member of The American Institute of Certified Public Accountants in Virginia since 1987. Dr. Allen is a past president of Alpha Alpha Chapter of Alpha Phi Alpha fraternity. He played football and baseball for the University of Cincinnati while majoring in accounting. He was the first African American to play baseball at the University of Cincinnati. Dr. Allen played semi-professional football for the farm team of the San Diego Chargers. 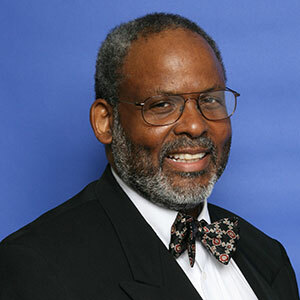 He participated in the Black Executive Exchange Program (BEEP) as a visiting professor at historically black colleges and universities throughout his Mobil career. Dr. Allen lists SCRABBLE and woodworking as his favorite hobbies. He competed in several regional tournaments while a member of the Houston and Dallas Scrabble Clubs. Dr. Allen is married to Tobi Allen and they have three sons.